“Heeeyyy Heaux!! !” If you are a “Supa-Hitta” you’re familiar with her affectionate greeting amongst her following. Raynell Steward aka Wuzzam Supa is a bubbly, grindaholic, Social Media Personality and Influencer from New Orleans, Louisiana. I must be honest, I was late joining the Supa Hitta wave. I discovered Supa by accident in late 2014 on Facebook. was shared, and appeared on my timeline. Over time, Supa became my out of town Bestie in my head, that I had to check in with occasionally. It was bigger than her comedic timing. Her self-esteem, pride for her city, and overall loyalty stuck out the most. The journey she’s taken her following on has been incredible, relatable, and just down right real. As an aspiring Influencer and Motivational Speaker, I see a lot of myself in her. Her engagement and transparency helped eliminate some of my introvert ways. The encouragement to be more confident, and truly believe in my own visions are so appreciated. I have so many memorable moments of Supa, full of hilarity and increasing admiration, but 2 moments tugged at my heart strings. 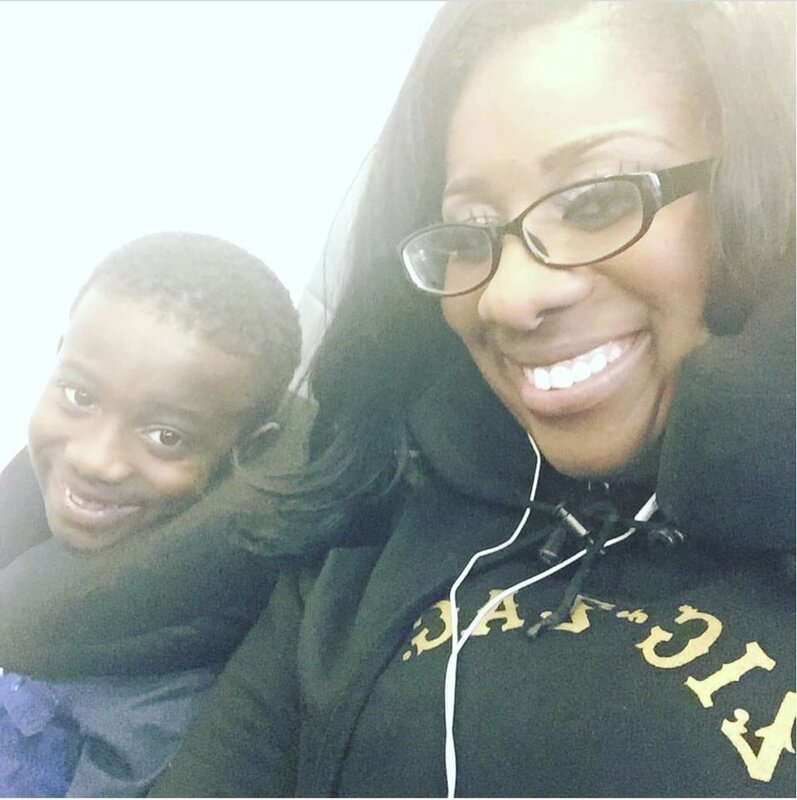 Supa broke down live on Periscope after receiving a call from her Sons school. Tre was not having a good day. As much as she jokes and exposes her shocking conversations and encounters with him, he is being raised to be a well-mannered child. Like any Mother, she was embarrassed, hurt, and overall stunned at his behavior. It was refreshing to see her not only be human, but be a Mother confused. She was truly trying to figure it all out. See, we all feel like our favorite Social Media person has it together, and she did not that day. She called his Father, who she awesomely Co-Parents with and let him lead. I low key think the camera came on for Tre’s protection LOL. I will never forget hearing her cry, asking him, “Why you do that Tre? Why you behaving like I’ve taught you nothing.” May not be a big deal for some, but surely was for me. Most people won’t show that side of Parenting. They want you see the well-oiled machine. That was her reality, and she was standing in her truth. Tre was even shocked. While I’m not a Mother, I know that definitely became a pivotal moment for her. God Bless her for sharing. Supa made her way to Durham, North Carolina to feed the homeless. #WhereDaSnacksAt became a movement after a battle with an Anti Supa Hitta. Supa not only challenged this individual to assist his Community, but decided she would do it as well. She cooked all the food and arranged all of the locations, with help from the Locals. Something Supa normally does for those in her own Community, she was delighted to provide to others. Her encouragement to keep the movement going has never subsided. Community means a lot to Supa, especially being from New Orleans. Her and her Family were affected by Hurricane Katrina, however Supa remains joyful, and actively involved in the City she calls home. 1. She is a Community Activist. 2. She is strong, caring, and unapologetic. 3. She is about her coins. 4. She embraces evolution and motivates others to evolve with her. Thank you Supa for being an uplifting part of my day. Thank you for your push to go farther and harder. Thank you for you evolution. Go become a Supa Hitta today.